The Bulguksa was built in 528, the year after Buddhism was officially accepted by the Silla Dynasty in the reign of King Beopheung. In order fulfil the wishes of his mother, Lady Yeongje and his wife, Queen Gi Yun, he built a temple with the names Beopryusa or Bulguksa. Later, in 574, the temple was rebuilt by the Lady Jiso who was the mother of King Jinheung, and it is recorded that statues of Vairocana Buddha and Amita buddha were added at this time. In 670, the Museoljeon was constructed and in 681 statue of Sakuamuni Buddha. In 751, Minister Kim Daesung started rebuilding. However, he died in 774 before completing the reconstruction. 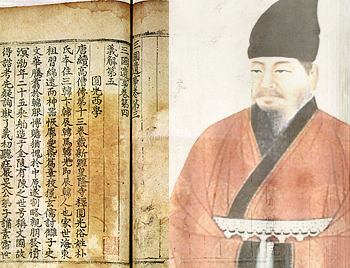 The government took over and completed Bulguksa as a great temple(according to Samguk yusa, a book on memorabilia of the Three Kingdoms). 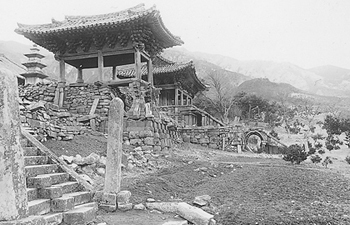 The grounds of the temple were divided into five sections: the Daeungjeon, Geungnakjeon, Birojeon, Gwaneumjeon, and Jijangjeon areas. In addition, there were about 100 Other buildings and facilities. The entire complex went through several remodeling until eventually most of it was burned to ashes by Japanese pirate invaders. In 1612, the right and left walkways, a bell tower, and the southem quarter were rebuilt. By the middle of 1700 the east and west quarters, the central quarter, and the original layout was nearly restored. From 1963 to 1973, the Mooseoljeon, Gwaneumjeon, Birojeon, and walkways and corridors were rebuilt and the Daeungjeon, Beomyeongru, Jahamun and stone platforms were restored to their present appearence. In 1995, Bulguksa was designated a world cultural heritage site along with Seokguram by UNESCO. Bulguksa has about 1,400 year of history and it has been an important Buddhist seminary in Korea. Many venerable monks such as Euisang, Shinrim, Pyohun, Daehyun, Haeweon, Buseol, Damhwa, Haean, Taeho, Haejong, Taein, and Weolsan in this temple as head monks.